Lazy makeup enthusiasts, this new service is what you've been waiting for! Makeup giant Estee Lauder's latest project incorporates augmented reality to help customers test out their lipsticks without even getting out of bed. 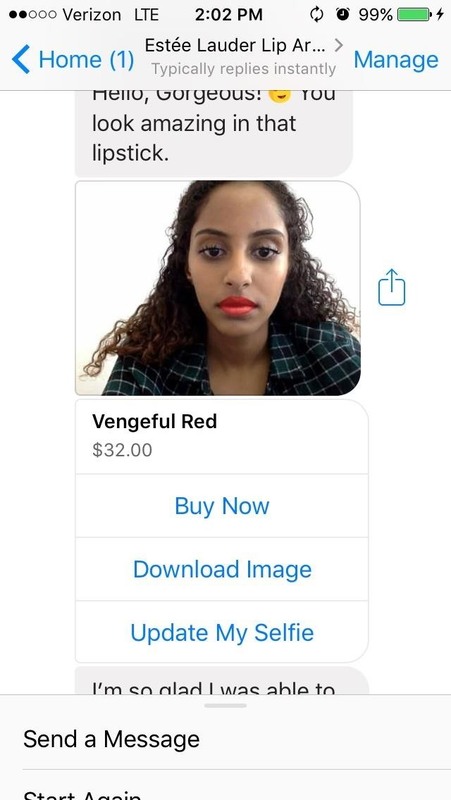 The company collaborated with Modiface — a group that creates AR services for the beauty industry — to produce a new Facebook Messenger chatbot that uses customers' cameras to let them virtually try on the brand's Pure Color Lipsticks. 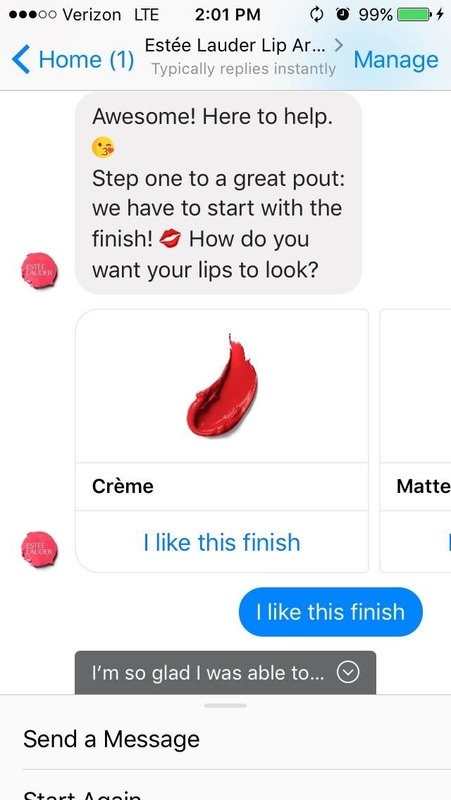 The feature is surprisingly difficult to find, so follow this link or search 'Estee Lauder Lip Artist' in your Messenger app to access it. From here, you can choose to take a quiz, shade-match an item you have to find a comparable color, or be surprised with a random lipstick shade. I chose to take the quiz so that I could provide more input about the color I want. 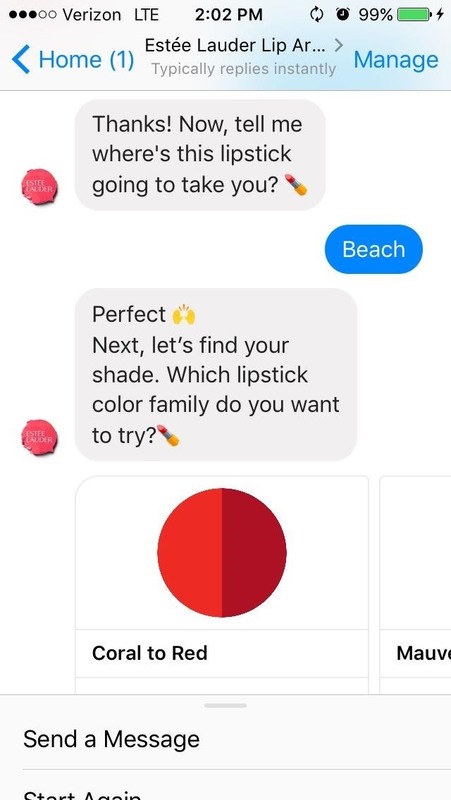 Once you begin the quiz, the chatbot will ask you what finish you like on your lipstick, what occasion you're wearing it for, and what group of shades you're looking to try out. The bot then suggests what colors you should try on. You can then select the color you like the best and then see how it looks on yourself using your device's camera. As you can tell, I wasn't thrilled with the color. If you like the suggested shade, you can buy it or download the image. I personally didn't love the way it looked, so I'm planning on retaking the quiz until I find something better. While innovative, this venture is not the first time we've seen AR make waves in the beauty world. Modiface has created similar services that allow users to virtually try on makeup for Sephora, L'Oreal, and over 70 other makeup brands throughout the world. What sets this project apart, however, is that it's the first to incorporate a Facebook Messenger chatbot. Since Messenger has billions — literally — of users, tapping into that user base is a smart move on Estee Lauder's part. This feature is available on desktops as well. 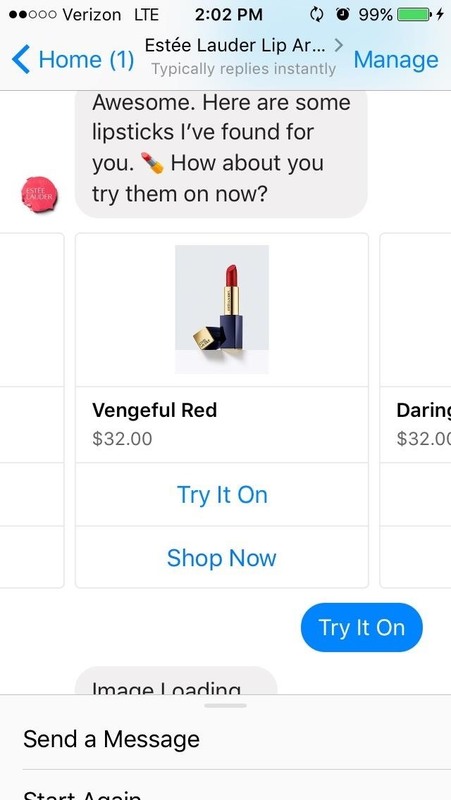 Simply go to Estee Lauder's website, select a lipstick, and click the 'TRY IT ON' button to partake in this AR experience by using your webcam. However, I feel like the desktop service may not be very accurate because almost every shade I tried on looked good, and I know that's unfortunately not the case in real life.